Rwanda is a small landlocked country covering an area of 10,169 square miles (26,338 square kilometers/2,633,759 hectares), which is about a third the size of Belgium. It is an East African country located in the heart of Africa, being bordered by Uganda in the North and North-East, Tanzania in the East, Burundi in the South and the Democratic Republic of Congo in the West. Rwanda went through a period of trauma due to the 1994 genocide (known as 100 days of slaughter) whose wounds are still fresh in the hearts of the people. However the country has exhibited hope and resumption and has now become Africa’s comeback kid embracing tourism, economic development and prosperity of the country. It is a “land of a thousand hills” and known as the Switzerland of Africa (due to the hills). Much as the country is small, she is beautiful and endowed with fascinating attractions, which makes the country a “paradise on earth”. Tourists visit most of the attractions within a short distance without going far because most of the interesting things are close to each other. This is a small national Park of 160 square kilometers, located in North-western Rwanda and is bordered by DRC and Uganda. It is situated around 105 kilometers west of Kigali town (2 hours drive). This Park is a haven of the famous and unique critically endangered mountain gorillas. Visiting this park will bring you face to face with these Giant Apes (mountain gorillas). A visit to the Land of a thousand Hills offers you fantastic Rwanda gorilla safaris in the Volcanoes national park, home to10 habituated gorilla families existing in different locations of the park. Besides the mountain gorilla, other attractions include over 75 species of mammals like Elephants, Buffaloes, and Giant forest Hogs, Bushbucks and spotted hyenas among others. The park is also a home of over 180 species of birds whereby 26 species are endemic to Virunga and Rwenzori mountains. Besides the wildlife species, other attractions include Dian Fossey grave, Mount Karisimbi and Mount Bisoke. This National Park is located in the Northeastern part of Rwanda at the border with Tanzania. It covers an area of about 1,122 square kilometers. It is located around 135 km from Kigali town (2 hours 30 minutes away). The fascinating attractions that are worth visiting in this park include a network of lakes including Lake Ihema. This savanna park is widely known for game viewing because of the variety of wildlife species which include Savanna elephants, buffaloes, antelope species for example waterbucks, topi, Oribis, roan antelope, elands among others. The zebras, giraffes, leopards and spotted hyenas are also spotted in this marvelous National Park. Also more than 525 species of birds have been recorded in this Park and they include the shoebill stork, over 44 species of raptor, Albertine Rift endemic species like Handsome Francolin, Rwenzori Turaco among others. For your enjoyable and life refreshing game drives, visit the Akagera National Park and unleash your excitement. Nyungwe Forest National Park is located in South-western edge of Rwanda, bordered by Burundi in the South and DRC in the West and covers a total area of 1020 square kilometers. It was established in 2004 to diversify Rwanda’s tourism from over relying on gorilla tourism. The Park is about 4-5 hours drive from Kigali town. 75 species of mammals are inhabited in this park including 13 primate species for example the Chimpanzees (over 400 in this Park), Black and white colobus monkeys, and the park is a home of over 300 species of birds out of which 16 species are Albertine Rift endemics. Tourists who visit this park will be accustomed to activities like the fascinating canopy walk. Several hiking trails in Nyungwe forest include the Ngabwe trail, Bigugu trail, Kamiranzovu marsh trail, and Isumo waterfall trail, Source of the River Nile trail, Karamba birding trail, Imbaraga trail, Rukuzi trail and irebero trail among others. Primate safaris and bird watching are also conducted in this park. Kigali city itself is one of the top places tourists should not miss to visit when in Rwanda. The city is the gateway to most attractions (mountain gorillas, chimpanzees among others in National Parks). 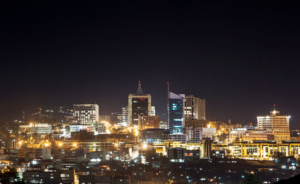 Kigali was declared Africa’s most beautiful city by the United Nations. It is one of the cleanest and safest places in Africa. The great weather of the city makes a relaxing place for tourists too. Kigali city tour offers an in-depth concept of Kigali and the history of Rwanda as a whole. While at Kigali city, you can visit Kandt House museum (oldest building), you will also visit the first modern building on which the city was first founded, Inema Arts center, Ivuka Arts center, Museum of National History, the Presidential Museum (where the death of the former Rwandan President sparkled the 1994 Rwandan Genocide), the Kigali Genocide Memorial Center, State house museum and the Miyo Art Gallery. For movie lovers, you can go for 5-D movies in Kigali multiplex cinema. Several lakes exist in Rwanda and tourists can enjoy the scenic and serene views of these marvelous Lakes. They include Lake Kivu (largest fresh water lake in Rwanda). Its outstanding Inland body of water together with the beach offers the best relaxation time for tourists. Water sports including canoeing, kayaking and windsurfing take place while at this Lake. The twin lakes of Rwanda (Lake Ruhondo and Burera) are also worth visiting when in Rwanda. Activities like canoeing, birding, boating and fishing are conducted in these twin lakes. Lake Muhazi (one and a half hour drive from Kigali) offers another favorable option of lakes in Rwanda. There are Jambo and Rwesero beaches at this Lake. With more than 30 species of birds recorded in this Lake, it offers an interesting bird watching time to tourists. Other activities include Boating, fishing and camping. This Nyanza based Palace was the residence of King Mutara III Rudahigwa until his death. It was built in 1932 by Belgium government and is located about 88 km south of Kigali city. This museum is a cultural center that provides apprehension into Rwanda’s monarchy tradition over the past 200 years. The museum offers a view of Rwandan traditional seat of the King. Most of the traditional materials and objects in the museum were destroyed while others stolen during the 1994 Rwandan genocide. However, in order to restore it to its authentic 19th century state, certain traditional materials were added and these include Traditional cows locally known as “Inyambo” because it present the culture of the Rwandese. While at this museum, you get the chance to visit Rwanda burial grounds of King Mutara III and his precious wife Rosalie Gicanda on a neighboring hill of Mwima. These caves are situated in Musanze district at the foothills of Volcanoes National Park, about one and a half minutes drive from Kigali town. 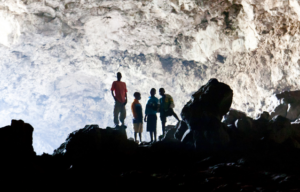 The caves are the most visited among the 52 surveyed caves in Musanze District. It is about 2 km long, has 31 entrances with the main entrance being 10km wide. The Musanze caves harbor a colony of bats which also add to the memorable visitor experience as they walk through the caves. They were developed by RDB in 2013 to diversify the tourism products and increase the length of stay of tourists in Rwanda. An interesting fact about them is the fact that the cave looks like a house with several rooms and stairs. Following the 1994 Rwandan genocide whereby over 800,000 Rwandan people lost their dear lives, some specific sites were used as their resting places to commemorate the 100 days of trauma. Currently eight (8) Genocide Memorial Sites exist in Rwanda for this cause. They include the following; Murambi Genocide memorial site in Nyamagabe district, Gisozi Memorial site in Gasabo district, Gisenyi Memorial Site, Nyamata Memorial Site in Bugesera district, Bisesero Memorial site in Karongi district, Nyarubuye Memorial Site, Nyanza Memorial Site and Ntarama Memorial Site. These sites include the bones, clothes of the victims of the Rwandan genocide. The memorial sites act as a remembrance to the history of the country. This cultural village is located in Musanze district around Volcanoes National Park. Iby’iwacu is a Kinyarwanda word meaning “Treasure of our home” the cultural village exhibits cultural practices of the three tribes of Rwanda that is Hutu, Tutsi and the Batwa. They have several tourists’ activities that tourists can enjoy and these include learning how to prepare traditional foods, 8 different traditional dances are presented (Intore, Ikembe, Amakondera and Ingoma among others). Tourists also participate in community walks, visit to the former king’s palace, visit the traditional herbalists and clinics, Batwa pottery making among other fascinating activities. Iby’iwacu cultural village is a place where nature meets culture. The museum that was built in 1987 and inaugurated in 1989 is situated in Huye/Butare, about 130 km South of Kigali town. It is one of the 6 fascinating Museums that form the Institute of National Museums of Rwanda and it being the first to be opened in Rwanda, it has continuously been referred to as the best museum in East Africa. The Museum has 7 galleries with objects grouped according to the themes that showcase ethnographic, historical (how Rwanda was like before colonization), artistic and Archeological artifacts. The museum is meant to tell a story on the social and the cultural aspects of Rwanda, artifacts and symbols of Rwanda’s culture and heritage which include “Kagondo hut”, “Isinde” among others. In conclusion, Rwanda is a country that is blessed with fascinating attractions ranging from the natural attractions (mountain gorillas, chimpanzees) to the man-made attractions (museums) which create the interest for tourists to visit the country. However, most tourists know Rwanda for the Mountain Gorillas which then leaves many attractions unexploited. Do not miss to visit the top 10 places in this beautiful country to unleash your passion for interesting things and leave the country with total satisfaction.